OPEN HOUSE THIS SATURDAY, 1-3:30 p.m. Built by Signature Homes, this inviting 4-bedroom, 2.5 bath home with attached 2-car garage & nearly 2,000 sq ft has newly refinished hardwood flooring & new carpeting. The light & bright eat-in kitchen includes breakfast bar, new gas stove, stainless appliances & breakfast nook. Also has formal dining w/contemporary light fixture, dual zone a/c, gas fireplace, 1/2 bath on main level, spacious master suite w/mirrored closet doors, master bath w/jetted tub, walk-in closets & dual sink vanity; guest bath w/dual vanity, recessed lighting, inside laundry & private rear yard. The popular Avila community includes tennis courts, in-ground pool, spa, playground & greenbelt nearby. Great location! 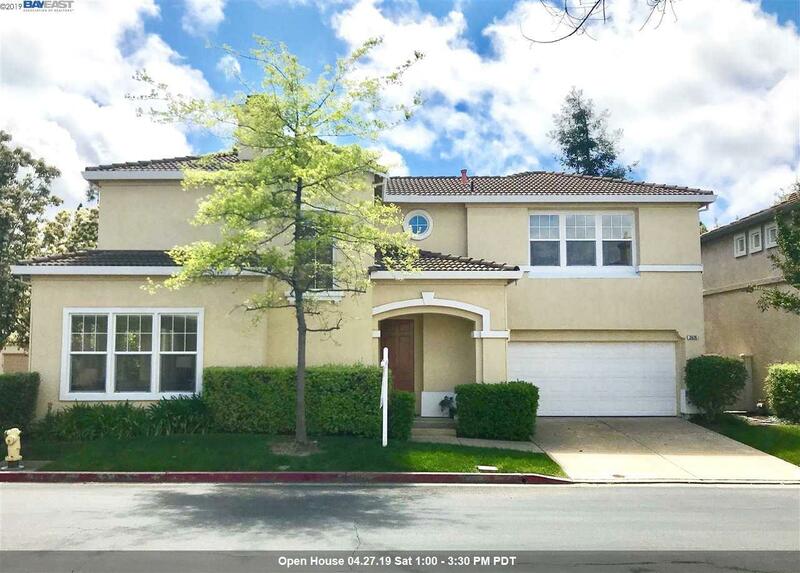 Walking distance to BART, local parks, Iron Horse Trail & Stanford Valley Care Medical Center. Award-winning Pleasanton Unified School District w/excellent API scores. Start packing & make it yours today. WELCOME HOME!